Beautiful, crisp day today - it would have been a shame to not go out and ride! It was an awesome snowy ride up on a bike that was pretty unsuited to the environment - lots of fun fishtailing and skidding, but no crashes! A bit of walking on more solid ice here and there, but not much. 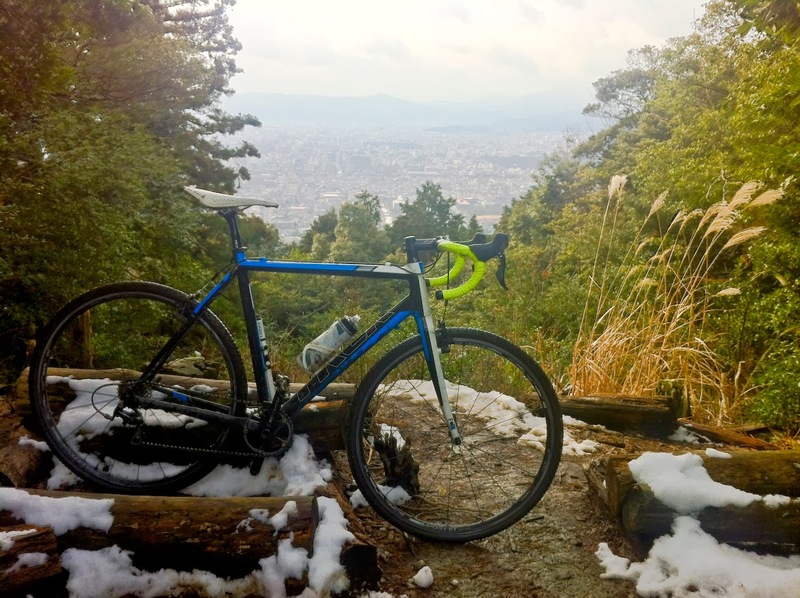 Then I, uh, got lost on the way down, lost sight of the MTB trail and the tracks of the lucky bugger with a fat-bike, and ended up on the Daimonji hiking trail. 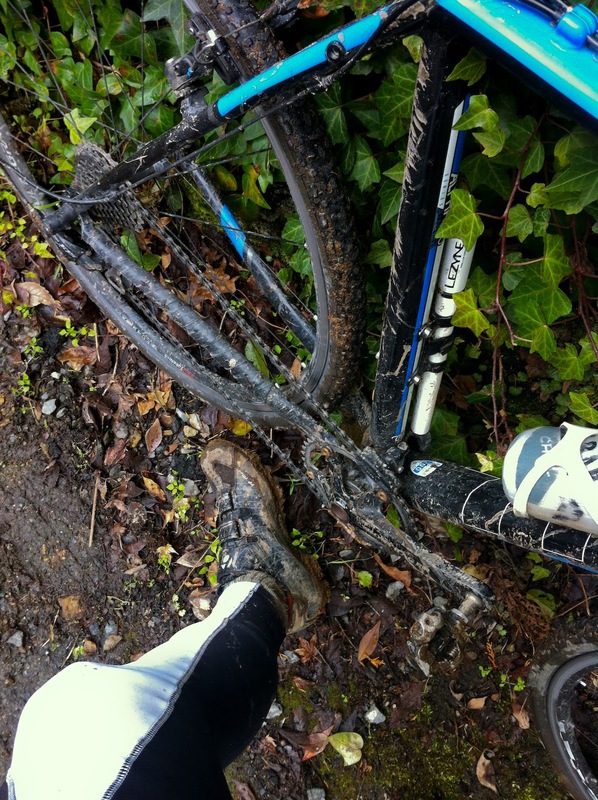 Cue an awkward and frankly at times treacherous hike down steep, slippery mud and rocks while shouldering my CX bike. Fun for all the family! The cold killed the GoPro on the summit, so no comedy scrambling video, but enjoy the ascent! Atagosan: first puncture in 6+ months!